A box of Cairn goodies. 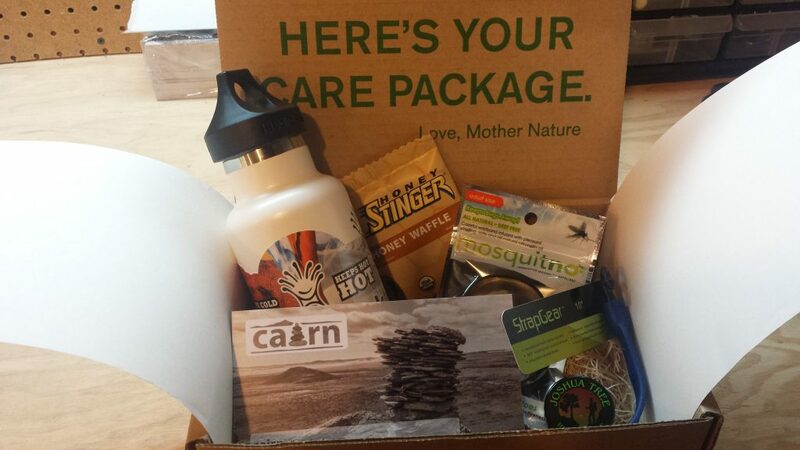 Our #50startups project marches forward today with Cairn, a Bend-based subscription box company for outdoor enthusiasts. Founder Rob Little started the business in March as an extension of an idea he had while an MBA student at the University of Pennsylvania Wharton School of Business. Our #50startups project marches forward today with Cairn, a Bend-based subscription box company for outdoor enthusiasts. Founder Rob Little started the business in March as an extension of an idea he had while an MBA student at the University of Pennsylvania Wharton School of Business. He’s quickly gained traction with a loyal subscriber base of more than 300. And he’ll be pitching Cairn as one of the concept stage companies in the Bend Venture Conference. We caught up with Little to learn more about his company and how he’s aiming to make waves in the outdoor industry as well as meet the startup’s first and only furry mascot. Star Wars Decor: Nada. 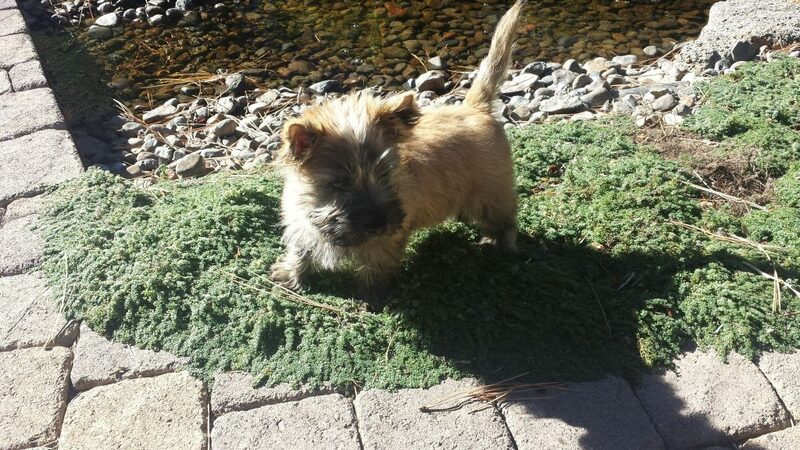 BUT Little does have a Cairn terrier puppy named Rocco. We want to change how people who enjoy the outdoors find and purchase products that encourage and support their next adventure. 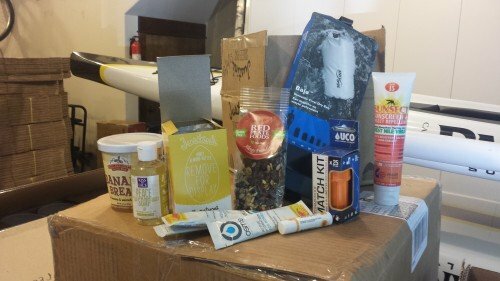 We offer a $25 subscription service, delivering a selection of gear, apparel, food/energy, and skincare products to our subscribers’ doors monthly. We also collect information on what types of activities our subscribers are interested in. As we grow, we’ll be able to customize the content of the boxes to fit specific interests. Additionally, we work with brands in the outdoor industry to put product immediately in the hands of their target market, and to get feedback on the product. Our subscribers are incentivized to review the content they receive, which helps the brands understand how they’re doing in the marketplace. The model has been around for 80 years, when Harry and David started their Fruit of the Month Club. In the past five years, the model has been applied to a variety of other industries: cosmetics, clothing, food, and dog products, to name a few. As an outdoor enthusiast, I wanted to see a service applied to the outdoor industry as a whole. As I build the model and talked to brands in the industry about their interest in participating, I was encouraged to run with the idea. Is this a competitive space? If so, how are you differentiating Cairn? Our approach is to build a box that caters to the entire outdoor industry, and uses profile settings to vary the content of the boxes. We haven’t found anyone else using this approach. There are boxes that cater to segments of the outdoor industry: fishing, biking, running, and golf. I don’t think that they are direct competitors, as some people want a box that caters specifically to their strongest passion and others want a box that fits a wider range of interests. What’s the response from retailers/manufacturers and subscribers been so far? The response from the retailers and manufacturers has been incredible. The brands we work with are very excited about the data we are providing back to them, in the form of demographics and product reviews. Many of them have commented that we’re the only subscription service who has offered that type and level of insight. We now have brands reaching out to us, inquiring about how to be put in our box. It helps that we’re not a threat to their existing distribution channels. If our subscribers like the content in the box, they go through those traditional channels to purchase more product. Everyone wins. Our subscribers love the service as well. The most frequent comment we get is that it’s like Christmas, once a month. Currently our revenue comes from our subscriptions. As we grow there will be additional opportunities for revenue: possibly from product manufacturers, but also from follow-on sales through an online store, higher end boxes, and maybe even travel giveaways/sales. How have you funded the operation so far? Are you raising any money? I have funded the business to date. We aren’t actively seeking investment, but we’re open to the conversation and would consider it with the right investor. How many subscribers does Cairn have? This month we will ship between 300 and 350 boxes. We’ve shipped over 1,800 boxes to date. Constantly keeping what feels like hundreds of small projects in momentum at the same time. At any given time we’re working on elements of six months worth of boxes in the form of product partnership, packing and shipping boxes, collecting data, providing feedback to the brands, etc. Not to mention all of the other components of running a business: keeping the website up to date, executing on a marketing strategy, customer service, and social media engagement to name a few things. Products featured by Cairn, including some from Central Oregon companies. Owning and operating a business is hard, but a lot of fun. I work harder and longer than I have doing anything else, but it’s enjoyable to be able to make decisions quickly and go with the momentum. I spent over two years living with an indigenous tribe in the hills of Panama, a day’s walk from the nearest transportation hub and electrical source. I was a Peace Corps Volunteer designing and building infrastructure products (think water systems, roads, bridges, etc.). I was the first white person the people in my village had ever seen. When I walked in, two of the children hid behind their parents, and in tears, asked if I was a bear. 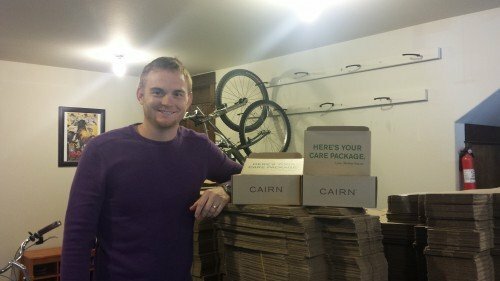 Rob Little, CEO and founder of Cairn, a subscription box for outdoor enthusiasts. Might I suggest a Halloween costume for Rocco?